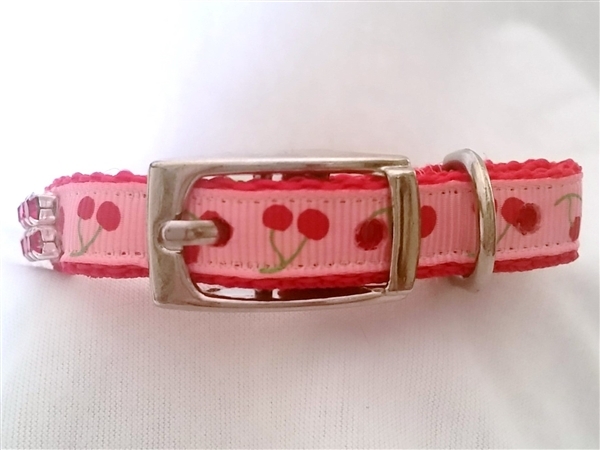 This Pink Cherry Collar is adorable. 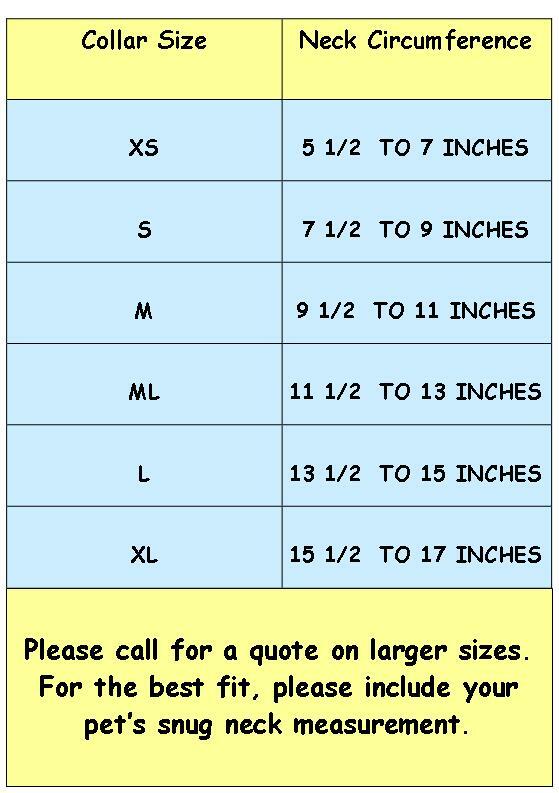 It is made with a silky red soft collar. There is pink cherry contrast ribbon added for a layered look. 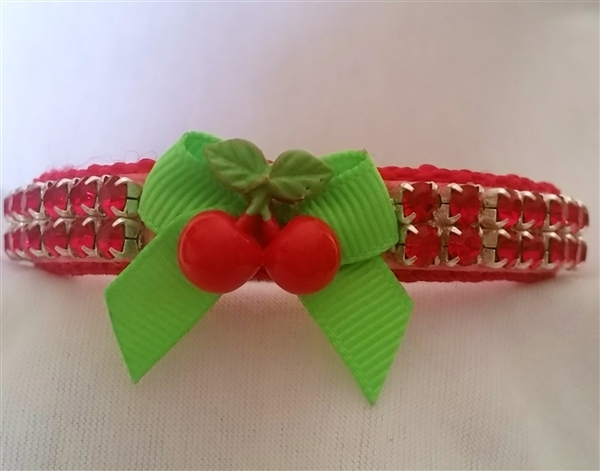 This collar is decorated with 2 rows of red rhinestones. There is a tiny grosgrain bow and red cherry embellishment in the center.